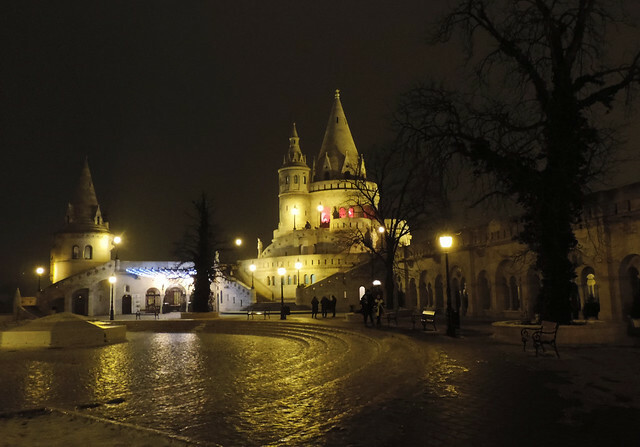 What could possibly make a beautiful historical city center even more attractive? Night lights in our opinion. With old style street lamps, of course. 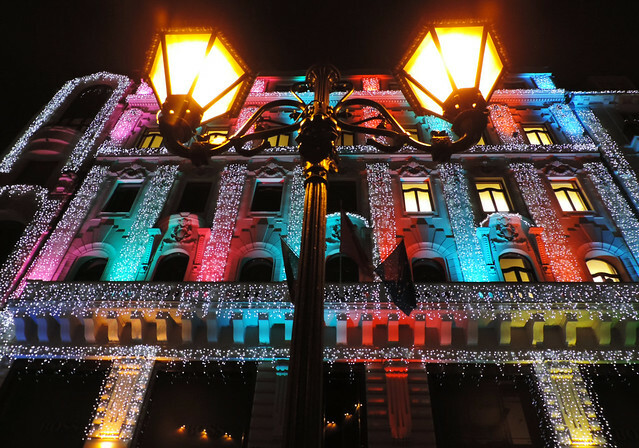 There’s definitely one advantage (even if it’s the only one 😛 ) of long, dark winter nights: the city center of Budapest gets truly magical. Where should you go to experience it? 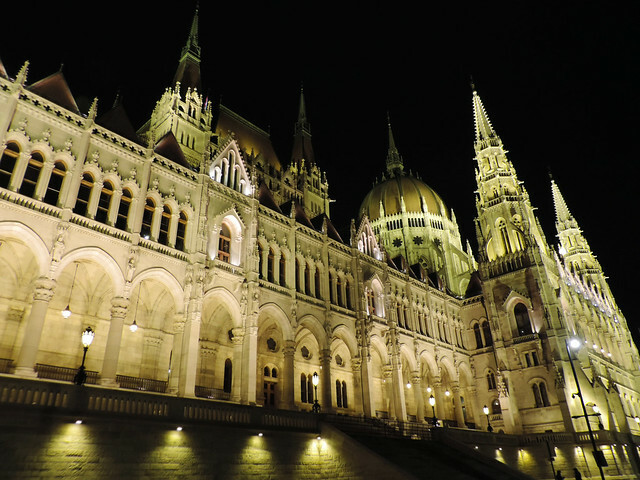 The stunning structure of the Hungarian Parliament is a great starting point. 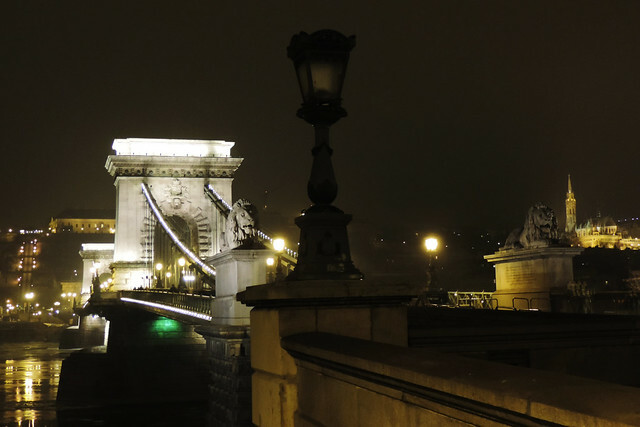 The Chain Bridge, the oldest bridge of Budapest is a comfortable walk from the Parliament. Or you can go a couple of stops with tram 2. 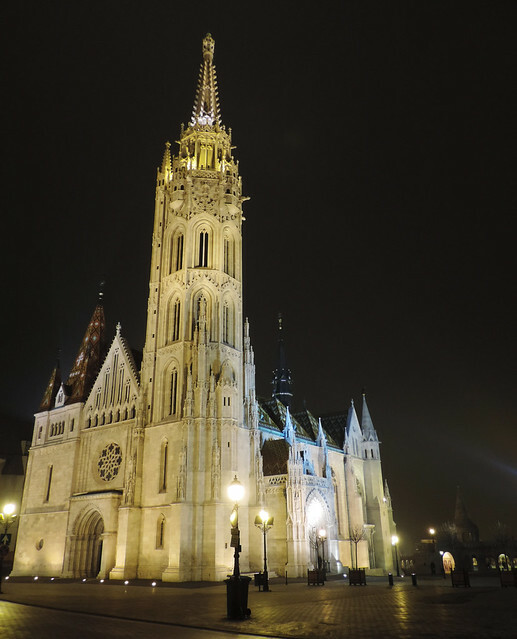 This tram has the nicest route of all the various trams and buses in Budapest since it rides along the Danube and offers a spectacular panorama of both the Pest and the Buda side. Hence it’s often called “the tourist tram”. 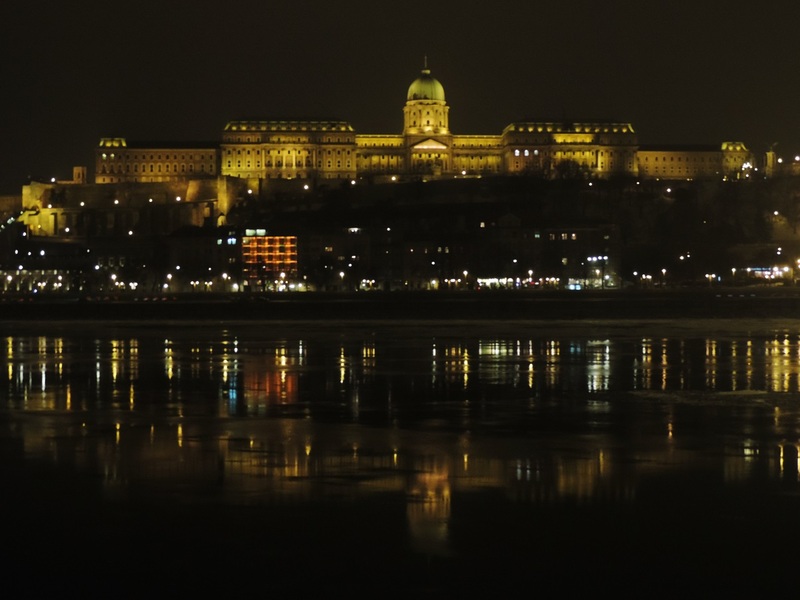 You can enjoy the reflection of Buda Castle in the Danube when the weather is calm – or just marvel at the majestic castle dressed in lights. 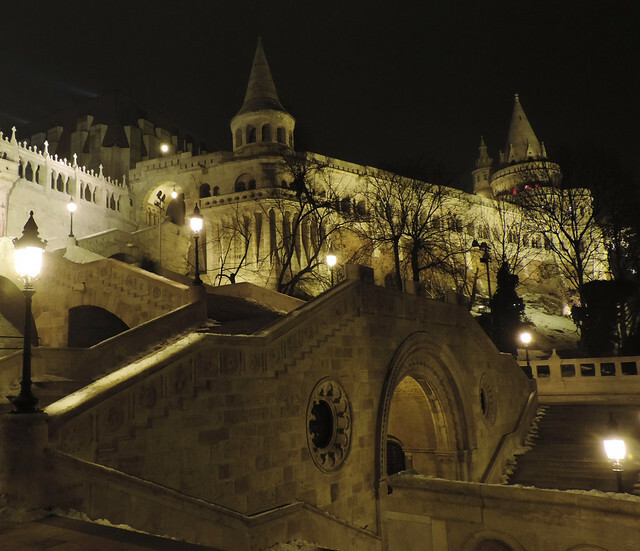 Then walk over Chain Bridge and climb the Buda Hills to get to Fisherman’s Bastion and Matthias Church. 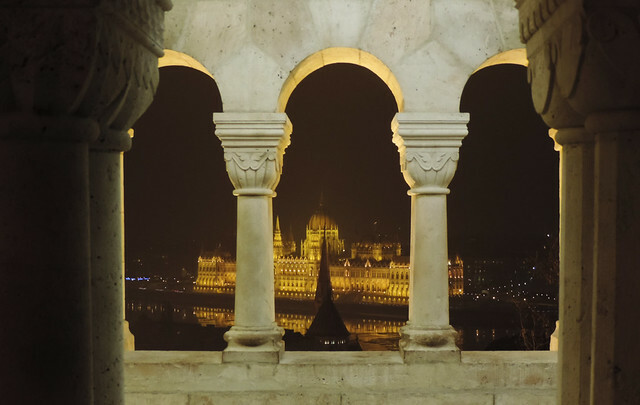 They are both lit up nicely but they offer even more: the view over Budapest from Fisherman’s Bastion is probably our favorite view of the city! 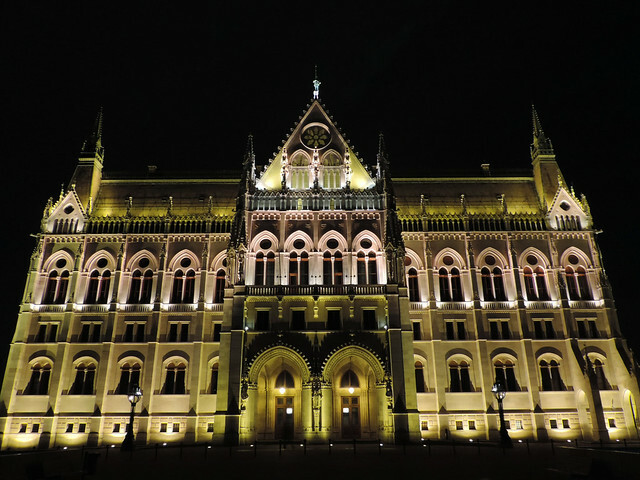 These were the most classic spots but old street lamps and pretty facades can be found mostly everywhere in the center. 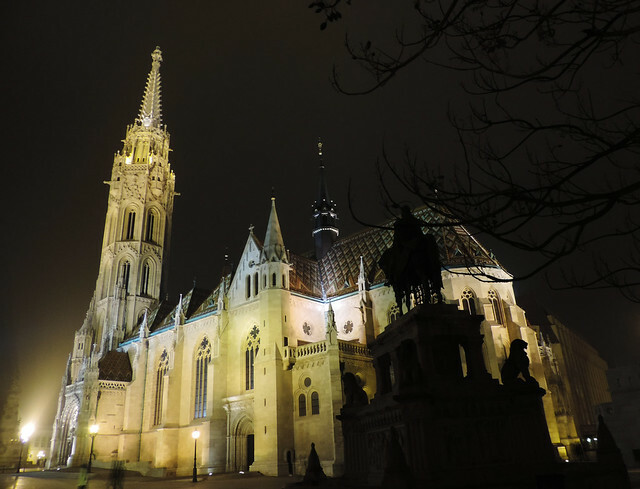 Just wander around Váci Street, Deák Ferenc Square, St. Stephen’s Square, Heroes’ Square or in the narrow streets of Buda Castle District. 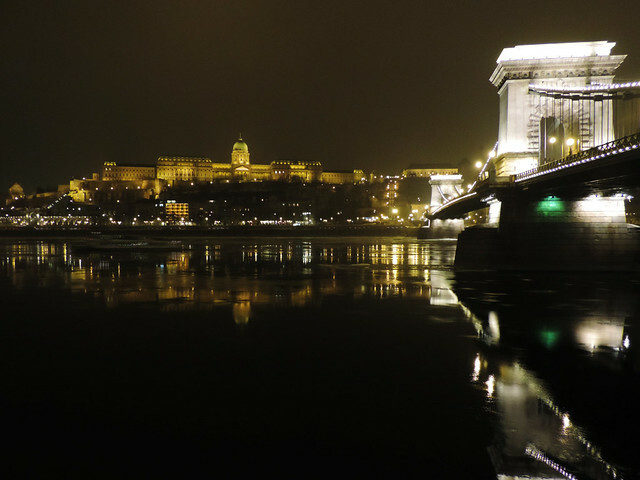 Or have a boat trip on the Danube at night. Or go to a party. Our vibrant city keeps you excited day and night. 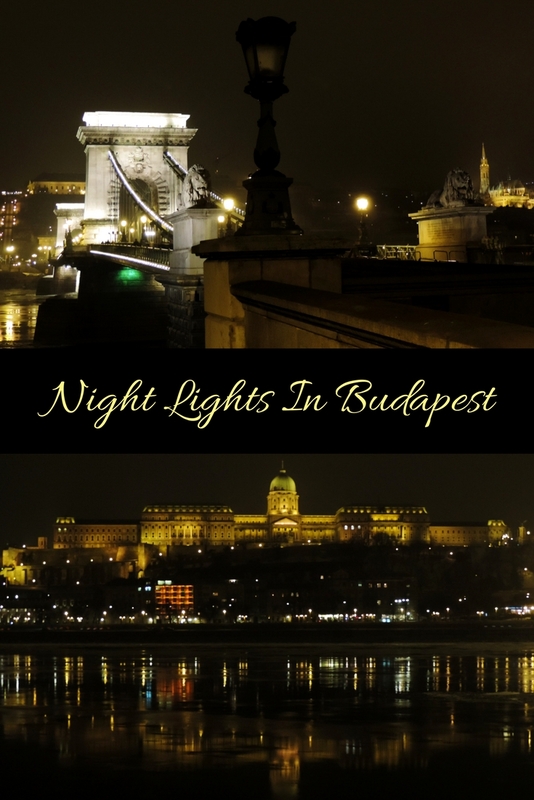 Do you like exploring cities at night?